In plain sight: are dramatic re-assessments on arena block a prelude to "gaming" PILOTs to pay off construction? Will the city’s dubious practice regarding assessments of land for Yankee Stadium--in which the value of the site went up eight times in a single day, using dramatically different land sales as comparables--recur regarding assessments for the Atlantic Yards arena site? Well, we don't have an assessment for the arena block as a whole, but evidence of questionable decisions by the Department of Finance (DOF) is mounting. For some properties on the block, land assessments--which are a percentage of market value, and rise with the latter--have leaped 17 or 20 or 34 times in one year. Perhaps an oversight hearing is in order. Meanwhile, Forest City Ratner wants to lower the amount it pays upfront for another piece of the arena block, the Vanderbilt Yard, to a reported $20 million, instead of the $100 million it initially promised. Relying on this interpretation also depends on the city’s finance department assigning a property tax assessment to the arena which results in a payment in lieu of taxes—supposedly equivalent to a regular property tax bill—large enough to cover the annual debt service. This assessment process for Yankee Stadium proved quite controversial, with the city’s assessment higher than those of several independent appraisers, and the process may prove controversial again at Atlantic Yards. In the case of the Yankees and Mets stadiums, the department indicated what the assessments would be prior to the start of construction. No similar announcement has been made for Atlantic Yards, but it is notable that the land assessments for the parcels under the arena have more than tripled in the last three years. Sweeting’s aggregate numbers, I’ve discovered, actually obscure a dramatic and irregular pattern: some assessments have remained steady, while others have grown enormously, as with a lot that is part of the Underberg Building site (right). Interestingly, in many cases the increases are associated with a change in classification from garage or factory buildings to V1 (commercial or Manhattan residential), which is curious since there's been no formal rezoning. Other buildings have not been reclassified at all. Given that the Empire State Development Corporation plans to override zoning for the entire site--for commercial, residential, and arena space--it's odd that the DOF hasn't changed the classification for all the properties. I asked Sweeting if he could provide examples, and he indicated that the IBO, the recipient of several queries on the issue, would produce some more data this week. Keep in mind that New York City, which contributed a $100 million subsidy to the developer, paid for most of the land on the arena block, thus allowing Forest City Ratner to appear generous. At the western tip of the arena block, the triangular Block 1118, bounded by Atlantic and Flatbush avenues and Fifth Avenue, contains some curious assessments. 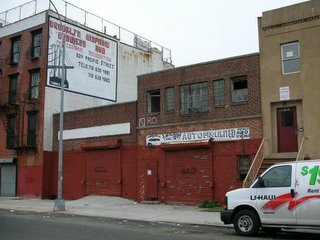 Lot 6, an irregular site at the tip of Atlantic and Flatbush owned by NYC's Department of Housing Preservation and Development, in 2007 was given a market value of $894,000, with the land assessed at $395,100. At that point, it was classified as E9 (miscellaneous warehouse). In 2008, those numbers had jumped to $1,690,000 and $760,500, and the parcel was reclassified as V1 (commercial or Manhattan residential). The timing of the reassessment was curious. After all, ever since the project was announced in December 2003, the lot was destined to be the site for an office building. And, unlike with many of the other properties noted below, the land has never been sold. For three of four general tax classes, property is assessed at 45% of market value, unless limited by law. For the other class, property is assessed at 6% of market value. In the case of Lot 6, both classifications set the 45% rate. Also on Block 1118, the long-dormant Underberg building--Lots 21, 22, 23, 25, 27--sold for $6.25 million, with the contract signed 6/30/04, and the sale consummated 3/2/06. It was later demolished, as the photo below indicates. But the assessment pattern is quite odd. In 2006, when Lot 21 was still classified E9, the assessed value of the land was $6750. In 2007, after a change to V1, the land assessment went up only to $9810, with the lot's market value set at $21,800. Both those numbers remained stable in 2008. This year, they went up to $169,695 and $377,100--an increase of more than 17 times. There were similar results for some but not all of the other lots making up the Underberg Building. Some went up only about 11 times, not 17. Could there really be a difference? There are other anomalies. Block 927, Lot 26, the site of the Brooklyn Bear’s Garden, is assessed as V1, seemingly a mistake. It’s tax-exempt, as it’s owned by a charity. 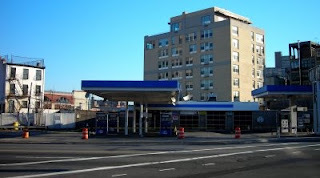 What about Lot 1, the former site of the Mobil station? In one year, its market value rose more than six fold, and the assessed value of the land went up 11.5 times. As noted, the land on this now-vacant lot is assessed at more than half the land under the much, much larger malls just to the north. But the building closed at the end of 2007. Forest City Ratner bought the property for $5.2 million on 3/1/06. Why the re-evaluation now rather than last year? The building at 191 Flatbush, Lot 11, has a curious history. It was purchased on 7/20/05 by FCR for $1,854,450. Through 2007, it was classified as K2 (store/building), with the land value assessed at $13,370. In 2008, the property was reclassified to V1; the land assessment remained steady at $13,370, but the market value of the property as a whole went down from $208,000 in 2007 to $30,600. This year the numbers leaped by nearly 20 times, to an assessed land value of $269,550 and a market value of $599,000 (see below). Why didn’t the value change when the property was reclassified? Did someone make a mistake, and then rectify it quickly upon recognition that this was the arena site? Similar results occurred with Lot 12 at 189 Flatbush. Classified as O9 (miscellaneous office) through 2007, the land assessment remained steady at $10,395 in 2008, even as the market value of the property went down to $23,100 from $224,000. This year, both numbers have leaped, some 20 times, to $269,550 and $469,000. The property, along with two others, was sold to Forest City Ratner on 4/13/05 for $3.8 million. 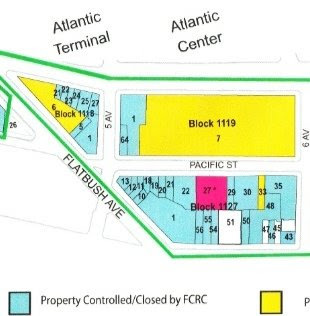 Also curious are the numbers behind Lot 19, at 620 Pacific Street, a blighted Auto Fix Limited building--at center-right in photo--demolished by Forest City Ratner. In 2006, DOF said its market value was $45,500, while the assessed land value was just $8,145. The building was classified as F2 (Factory). It was purchased by Forest City Ratner on 4/19/06 for $1.3 million. Did the value go up? Not immediately. Though the property was reclassified as V1 in 2007, the market value went down to $18,100 and the land value stayed steady at $8145. Oddly enough, the numbers stayed steady in 2008 (see below). This year, however, the numbers leaped more than 34 times, to $627,800 and $282,510. Its next-door neighbor, Lot 20, at 622 Pacific Street (above, center-left) similarly experienced odd leaps. In 2006, when it was classified G9 (garage), its market value was $36,800 and the land was assessed at $11,655. The building was sold on 2/16/06 for $3 million. In 2007, the classification for Lot 20 changed to V1, but the land assessment stayed the same and the market value declined to $25,900, to $17,505 and $38,900. This year, however, the value rocketed upward nearly 20 times, to $336,150 and $747,000. What about the Tasty Provisions building at 626 Pacific Street, Lot 22? It was sold 5/20/04 for $1.5 million and was demolished in early 2008. It had a market value of $235,000 last year, with a land value assessed at $36,495, under the classification E9 (miscelleneous warehouse.) This year, however, the site has been classified V1, and the land is assessed at $1,490,625, with the property’s market value $3,312,500. At 640 Pacific Street and 644 Pacific Street, the buildings in center and left in the photo at right, the figures have also gone up dramatically. FCR bought 640 Pacific Street, Lot 29, on 11/16/04 for $3.023 million. In 2007, under the classification F4 (factory), the market value was $157,000 and the land assessed at $14,850. The land assessment was steady in 2007, with the market value down slightly. The building was demolished last year, and now the site is a parking lot--by definition blighted. But the tax classification has been changed to V1; the market value is $1,191,000 and the land assessed at $535,950. As for 644 Pacific, Lot 30, again the numbers leaped. In 2008, under the classification F2 (factory), the market value was $226,00 and the land value $33,615. This year, under V1, the market value is $3,572,200, with the land assessed at $1,607,490 (see below). 465 Dean Street, Lot 54, was once the home of the Brooklyn AIDS Task Force. The office building was sold for $2 million on 5/20/04. It was demolished in late 2007. That year, it had a market value of $416,000, with the land assessed at $21,960; it was classified as O9 (miscellaneous office). In 2008, the land assessment was the same, but the market value of the property was only $48,800, even though the property had been re-classified as V1. This year, however, the value rocketed up, with a land assessment at $448,190 and a market value of $998,200. Similarly, at 461 Dean Street, the row house at Lot 56 was purchased by FCR on 6/2/04, along with a neighboring building, for $3.8 million, and demolished in the spring of 2006. In 2006, under classification C0 (three-family house), it had a market value of $1.148 million. In the next year, its classification changed to V1, with a market value of $95,000; the land was assessed at $42,750. In 2008, those numbers rose to $143,000 and $64,350. This year, the third assessment under the V1 classification, the numbers rose to $998,200 and $449,190. Some properties have not seen dramatic increases in value. 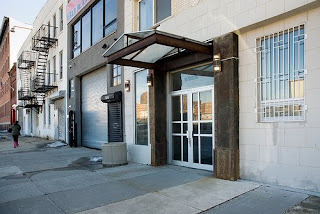 The Fire Department of New York structure at 648 Pacific Street, Lot 33, has experienced modest increases--a few percent a year--in market value and land value over the last several years. A parking lot on Dean Street, Lot 47, has similarly experienced modest increases. What about the condo buildings? The results regarding the two condo buildings on Block 1127 are more mixed. Keep in mind that each condo is a separate tax lot, and I haven’t looked at all. For example, some condos at 24 Sixth Avenue (the Spalding Building) have risen in market value--again, a number that does not necessarily bear a close relationship to reality--from $73,578 and $122,774 last year to $104,151 and $173,789, respectively. The values have trended steadily up. At 636 Pacific Street, the Atlantic Arts Building, however, the pattern has been more up and down. For example, two units, respectively, went from $99,029 and $110,059 in 2007 down to $50,749 and $56,401 last year, then up to $67,208 and $74,693 this year. Meanwhile the assessments for the Atlantic Center mall, Block 2002, Lot 1, have been consistent, with the land assessed at $5,175,000 for each of the last five years and the market value of the property fluctuating by 10-16%. Similarly, the assessment of the land under the Atlantic Terminal mall, Block 2001, Lot 1001 has remained steady at $5,075,000 the last three years after dipping from $8,532,000. The overall market value has similarly been steady after dipping. The assessment of the land under Block 2001, Lot 1002, the Bank of New York Office tower, and Block 2009, Lot 1, 470 Vanderbilt, have remained steady. The question for an oversight hearing is: does this all make sense?